What motivates a man to pick up the trumpet at 39 years old and start to play? In the case of my 14th student, it’s his love of jazz and specifically, his love and appreciation of the music played by one of the greats, Miles Davis. My student owns and works out of his 2.5-story home in Magnolia in Seattle, and we practice there weekly in his warm, spacious basement. In “X” years, he’d like to be playing locally in a small band, perhaps a quintet. But for now, like any 5th-grade beginner, the Magnolia Man must first learn the basics, the fundamentals. We started lessons on 9 December. “Everyone who got where he is had to begin where he was,” wrote Robert Louis Stevenson, author of Treasure Island, The Strange Case of Dr Jekyll and Mr Hyde, and many other books. And so it was with Miles Davis, too. Miles, the son of a dentist in East St. Louis, got his first trumpet at age 13. He was a prodigy—it was his horn. At 18, he went to New York City. During 1957-1963, he collaborated with Gil Evans, often playing both flugelhorn and trumpet. That’s when I first became acquainted with his music, including the albums ‘Round About Midnight, Miles Ahead, and Porgy and Bess, and this remains my favorite period of his music. To my young ears, it was stunningly beautiful. Miles was an innovator. He experimented with and led several major developments in jazz music, including bebop, cool jazz, hard bop, modal jazz, and jazz fusion. After he died in 1991, eight digitally-enhanced box sets of his recordings have been released. 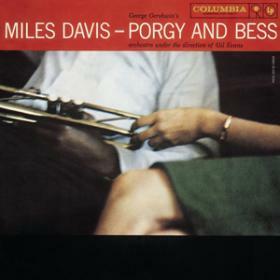 The 6-CD set, Miles Davis and Gil Evans: The Complete Columbia Studio Recordings, won three Grammy Awards: Best Historical Album, Best Album Notes, and Best Recording Package (Boxed). This was only the third time in Grammy history that that trifecta was ever achieved. 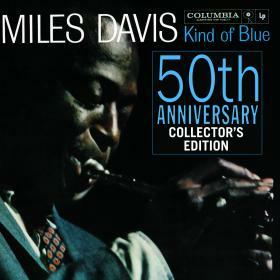 In 1959, his magnum opus, Kind of Blue, was released. And 49 years later (2008), the Recording Industry Association of America (RIAA) issued its fourth platinum certification for this album, signifying sales of four million copies. In 2006, Miles Davis was inducted into the Rock and Roll Hall of Fame. He is considered one of the most influential musicians of the 20th century. I saw and heard him play only once. When I came back from Vietnam, there was a jazz place down in Pioneer Square, and one night I went there by myself to hear him play. Before going, I had read in a magazine article that he had the reputation of being cold, withdrawn, and distant. They said he would sometimes play with his back to the audience. He did, and I left, having drunk too many “stingers on the rocks” and feeling very alone. For more about the life and work of Miles Davis, see http://www.milesdavis.com and http://en.wikipedia.org/wiki/Miles Davis. I’ve found that my older students tend to identify with special trumpeters. With the Magnolia Man, it’s Miles Davis. With the downtown Seattle 50-year old, it’s Herb Alpert. When asked what trumpeters he admires, my Bothell 9th grader replied, “Dizzie Gillespie.” I should ask the Magnolia Man which of Miles’ periods, albums, and CDs he likes best. I’ll do that. “A journey of a thousand miles begins with a single step,” says a Chinese proverb. Three cheers for the Magnolia Man! He’s on the path.